Miyamoto calls the homeless that create makeshift housing in the forgotten parts of urban landscapes 'the hunter-gatherers of the contemporary city'. 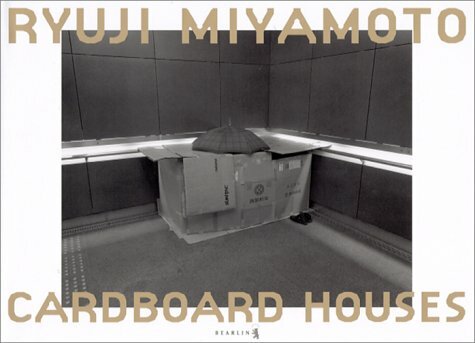 Noticing the increase of cardboard housing throughout the 80's, Miyamoto started photographing the dwellings. It is a project that has extended beyond Tokyo, into the homeless worlds of other Japanese cities, as well as New York and London. One to a spread, bordered by white.